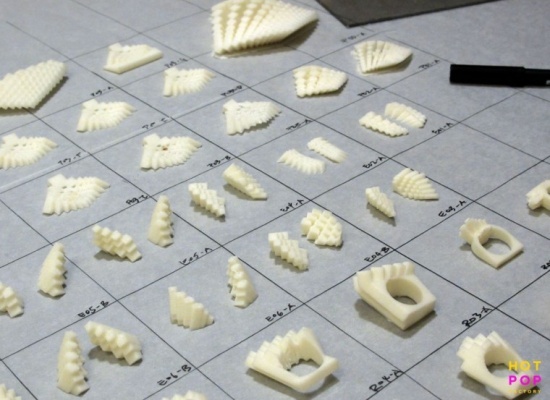 The jewelry industry has been using 3D printing technology for years in terms of prototyping; however, 3d engineering has advanced to the stage where the technology is ready to manufacture finished products. Through analyzing industry trends, the leading UK supplier of precious metals states 3D printing technology will be a shape changer for the jewellery industry for many reasons. The application of 3D printing to jewellery, called laser sintering, is being employed by many firms to produce jewellery from computer designs. Stella Layton, chief executive of the firm, says as a result of 3d engineering, shoppers can expect to see more personalized jewellery offered by retailers. The introduction of 3D engineering has opened up a new approach as to how companies manufacture. The traditional large mechanical rollers used a method of shaping large rods of silver; this technology used an efficient technique of creating jewellery which came along with many other negative side-effects, the sound of metal being worked and the smell of gas in the air. Laser sintering revolutionized the entire process; an 18-karat gold powder is laid down by a robot arm, layer by layer, and sounds just like a regular photocopier. Laser sintering altered how production of jewellery works by making a more cost efficient and sustainable way to create products. The technology allows complex designs to be made rapidly and allows designs to be altered and produced quickly. 3D printing also permits producers to create objects with hollow interiors, reducing their weight and the amount of precious metal used. Another major problem which 3D printing solves in the jewellery industry is lack of innovation; rather than following the traditional method of going into apprenticeships to learn traditional craft skills, people are starting to use 3D printers to produce jewellery. Without the need of internships to become a jeweller, there will be less barriers to entry in the industry which can lead to more designs and innovations.